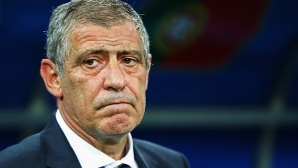 Portuguese coach Fernando Santos believes his team must demonstrate the form of the European championship two years ago to rely on success in the upcoming match against Morocco. Portugal finished 3:3 in its first World Cup 2018 match against Spain and is in a good starting position for the last two rounds in the group against Morocco and Iran. Morocco is one of the strongest teams in Africa, with a coach who is also experienced, has worked in many championships, Morocco`s team is tactfully literate, has very fast and technical players, will be a tough game, but morenothing in the group is decided, we have to show the level of the European Championship to win, `Fernando Santos commented. During the press conference before the match, the breeder was overcrowded with questions about the mega-star of the team, Cristiano Ronaldo, among whom is he able to improve the record of 13 matches in the World Cup and where it is more useful - on the wing or as a centralstriker. `Naturally, Cristiano is valuable for Portugal, but we have 22 more players, so far I have not seen a football player win a game, ` Santos said.